The birthday of one of the most celebrated children’s authors of all time, Dr. Seuss, just passed, and it falls in March—National Reading Month. In 1998, the National Education Association of America established National Reading Month to honor author, cartoonist, and animator Dr. Seuss, and to encourage reading and literacy habits in children. The month-long celebration is intended to help children discover the pleasure in reading, while aiding their language development skills at the same time. While schools all across America celebrate National Reading Month for children in kindergarten and above, parents can celebrate with their toddlers at home, too! Here are some roles that you can play to celebrate National Reading Month with your young ones in order to jumpstart language development and an interest in reading. Let’s start with an activity as simple as singing the alphabet song, which can greatly improve a toddler’s literacy and cognitive skills. Singing out loud to children helps create a phonological awareness in them, which is the first step in early language development. They will gradually be able to pick up on the sounds of the alphabet and learn to associate each sound with a word. The best way to do this is to recite every letter using an alphabet chart or alphabet flash cards, while pointing to a related object (e.g. A for apple, B for ball, etc.). Animal ABC by Juan de Lascurain and ABC by Brian Wildsmith are two great titles that can help catch the attention of toddlers with eye-catching designs and colors. Rhyming and poetry books also serve the same purpose as alphabet books. Children will learn to pick up on rhythmic patterns and vibrations in sounds, making it easier for them to alter their tones accordingly. The added benefit is that reading rhymes out loud coupled with some fun activities will help toddlers recognize pauses and patterns in speech. You can play a picture-card game with your child and have them come up with rhyming words for every card they draw (e.g. if they draw a card with a picture of a ball, encourage them to come up with rhyming words like “tall,” “wall,” and “call”). 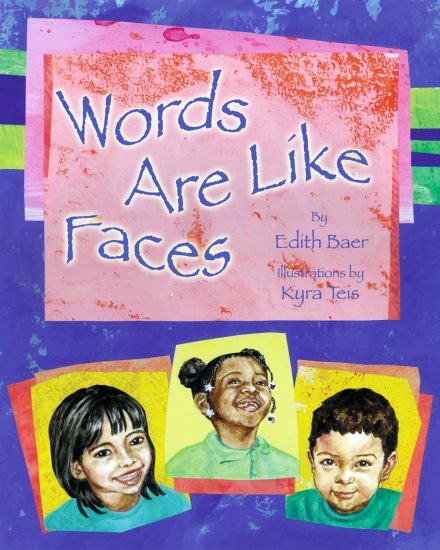 Some Star Bright titles that can assist in this aspect of learning are Robert Louis Stevenson’s A Child’s Garden of Verses and Edith Baer’s Words are like Faces. Wordless picture books may contain little or no text, but can be vastly important. They allow children to interpret the stories from only pictures, details, and character expressions. Kids learn the art of prediction and improve their observational skills and critical thinking. One among the many fun activities to do with wordless books is to ask your toddler to retell the story in their own words, and watch how the story unfolds in their imaginative eyes. Children pull words from their memory in order to recite their version—and honestly, they have so much fun doing it that we can’t help but smile. 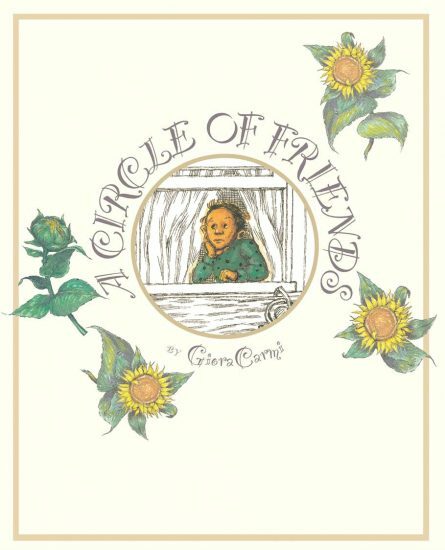 A Circle of Friends by Giora Carmi, with beautiful illustrations and an equally beautiful storyline, is a perfect fit for this activity. Puzzle books and activity books go a long way in helping children exercise their brains and improve their imaginations. Although toddlers may be too young to solve the puzzles, it will greatly improve their spatial reasoning and hand-eye coordination. An in-home activity that you can try with your toddler is to bring together the different shapes (square, circle, triangle) in their favorite puzzle book and help match the shapes and shape colors to patterns in the book. Over time, they will develop a knack for recognizing patterns and shapes, and associate colors with them (e.g. an apple is a circle and is red). Make this year’s National Reading Month a special one for your toddler by illustrating the impact reading can have on them and indulge in some fun, quality time with your tiny tot. This entry was posted in Uncategorized on March 25, 2019 by Star Bright Books.